The GfHF has been successfully running educational art and cultural programmes for children, young people and adults for more than 10 years. In the photography project Bridge the Gap, young people aged 12 to 18 from Marienfelde and the surrounding areas, who grew up in Berlin or fled there, discovered and photographed their personal surroundings together. 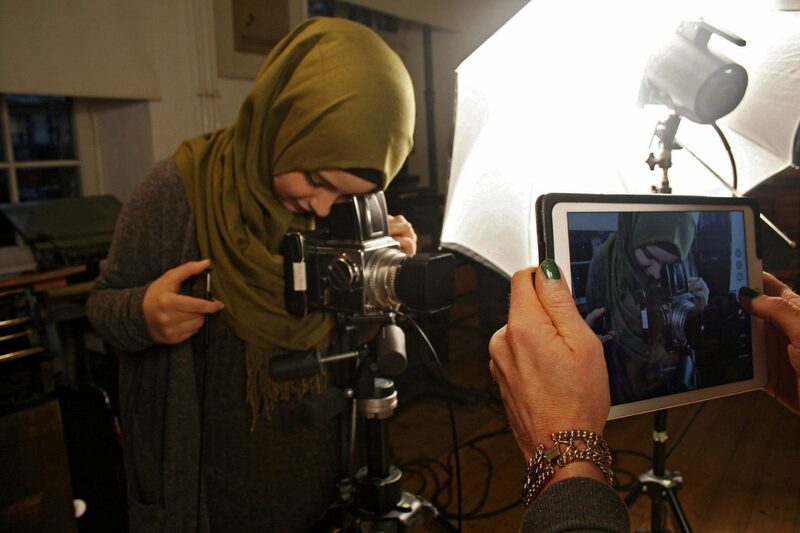 In visits to photography exhibitions they sharpened their focus and in workshops with the digital camera they learned to deal with different photographic genres and techniques. For three consecutive years, 2015-2017, the project took place annually between April and July. Each year, at the end of the project, the young people presented their personal view of their world in a photography exhibition or in a photo book. Bridge the Gap was realized in cooperation with Freundeskreis Willy-Brandt-Haus and Internationaler Bund – sponsored by “Jugend ins Zentrum!” of the Bundesvereinigung Soziokultureller Zentren e. V. in the framework of the program “Kultur macht stark. Bündnisse für Bildung”.